Discover curated resources that can help answer your questions about separation and divorce in Canada. You’ll find articles, checklists and worksheets to help you gain clarity about your situation and priorities during the divorce process. The financial ramifications of a divorce can be devastating. But, with proper planning and expert help from professionals specializing in financially equitable divorce settlements, you can increase your chances of arriving at a settlement that fully addresses your long-term financial needs—and that of your spouse. 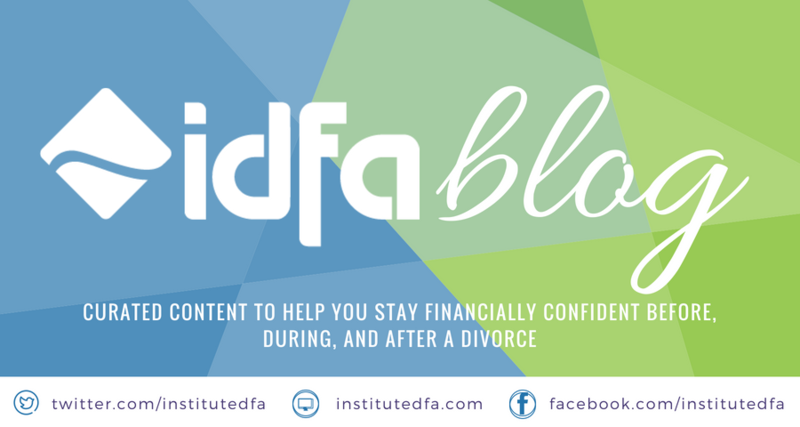 IDFA provides answers to some of the most common questions regarding separation and divorce. A collection of links and resources to help you through the separation and divorce process. More often than not, the standard of living of both spouses drops in the first few years after divorce. Why? Because the same cumulative income and pool of assets now has to support two households instead of one. Unfortunately, most people do not prepare themselves financially or emotionally for that consequence. So what can you do to better prepare yourself for this inevitability? The answer is simple, but it’s not easy to put into practice. When contemplating divorce, most people put themselves under undue stress worrying about their financial well-being. Much of that stress is due to the fear of the unknown. So what do you do about it? Before, during, or after a divorce, it is important to keep yourself in reality as to your financial situation. Doing so will give you a sense of control over your life, which will reduce your stress level. During your separation, you need sound financial advice to ensure the settlement is fair to both parties; afterwards, you’ll probably need help adjusting to your new circumstances and planning for a secure future. Here’s an introduction to some of the financial professionals you may need—along with some suggestions of how to find and work with them. According to a recent survey of 191 CDFA professionals from across North America, the three leading causes of divorce are "basic incompatibility" (43%), "infidelity" (28%), and "money issues" (22%). "Emotional and/or physical abuse" lagged far behind (5.8%), and "parenting issues/arguments" and "addiction and/or alcoholism issues" received only .5% each. Before you hire a lawyer to represent you in your divorce, you need to learn this important truth: you and your lawyer will become partners, for better or for worse, during and perhaps for years after the divorce process. And how well your partnership works can have an enormous affect upon the process and outcome of your divorce—and how much you’ll have to spend in legal fees along the way. Here are two topics you’d probably rather not think about: divorce and taxes. If you’re separated or newly divorced, however, it could be worth your while to get some good financial advice about both. Certified Divorce Financial Analyst® professionals offer their best tips to help you avoid some of the most common mistakes made by separating couples. ​If you're thinking of taking the plunge for the second time, you should consider whether you need the protection of a marriage contract. A marriage contract is an agreement signed before or after a wedding that provides a private and custom-made set of rules for dividing the couple's property should they separate and divorce or die. What do those letters that follow the names of financial experts mean? During your separation, you need sound financial advice to ensure the settlement is fair to both parties; afterwards, you’ll probably need help adjusting to your new circumstances and planning for a secure future. Here’s an introduction to some of the financial professionals you may need. Complete this worksheet to help you discover your needs and priorities. Use this checklist to help you stay organized as you compile your financial documents. Use this worksheet to help you stay organized through the process.